During the winter of 2017/2018 i was travelleing to the US a fair deal. Unfortunately all the UK’s cold spells seemsed to coincide with my abscence from the country. However returning on one trip just before Christmas there was one last morning of cold before the mild air returned. 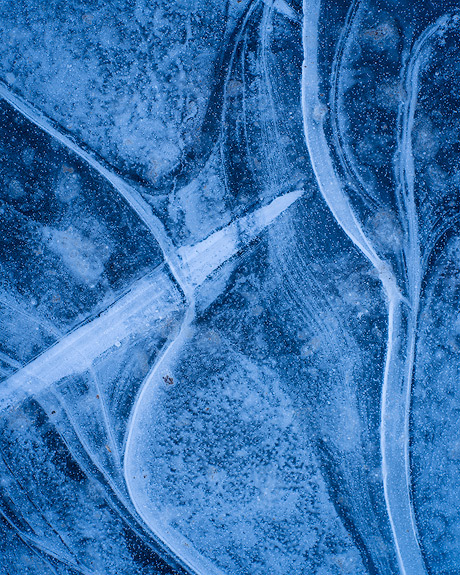 I made this image at Skipwith, exploiting blue sky reflected in shaded ice.